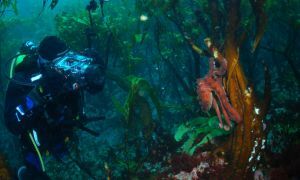 Those of you who follow this blog may have read about the settlement panels; squares of plastic that are placed underwater and which allow us to follow how animals settle and grow on the rocks. There are two problems that have to be overcome when deploying anything in the seas around Ascension Island. Firstly, the panels need to be secured against the affects of the famous Ascension rollers. We came up with several ideas but in the end we decided that no amount of ballast was going to secure the plates against the swell. A colleague of mine at the British Antarctic Survey has tried to use similar panels, held down by ballast, but he lost the lot. 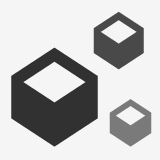 We therefore decided that we would strap the plates to objects that had been there for a long, long time. 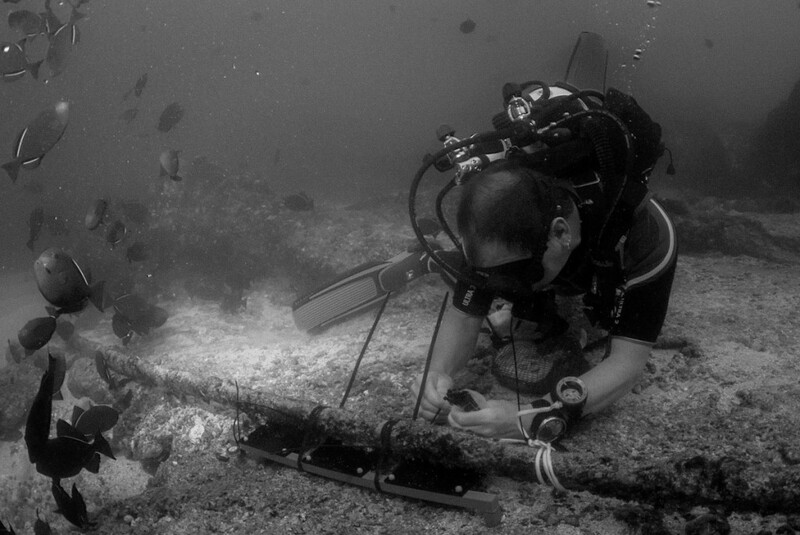 [caption id="attachment_539" align="aligncenter" width="584"] Stevie Cartwright attaching plates to an old undersea cable. Secondly, very little grows on the surface of rocks at Ascension as the black trigger fish will eat almost anything that is exposed. 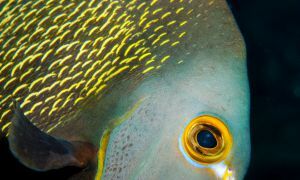 The panels, therefore, need to be fixed to a solid surface that would stop trigger fish getting access to the underside of the plates. 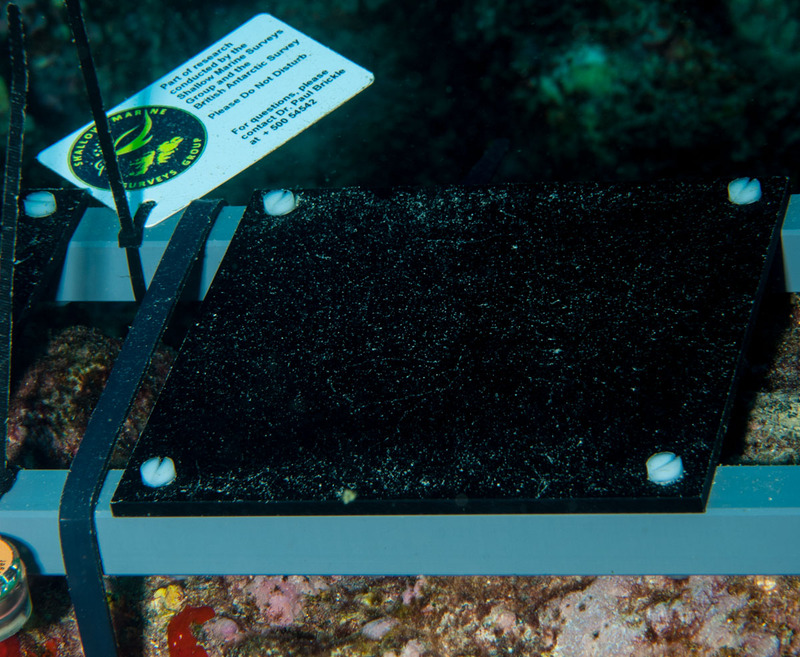 [caption id="attachment_541" align="aligncenter" width="584"] These plates are attached to the wreck of the Derby, which sank in 1929, and hopefully will stay in place for at least another year! We chose to position the first of the three plates on one of the cables in Mitchell’s Bay, the second on the wreck of the Derby and the final plates just off Wigan pier. Stevie Cartwright was in charge of fixing the plates using a selection of cable ties and straps. He also cable tied one temperature logger to each of the plates and a tag that lets anyone who finds them know that these are scientific experiments and should not be disturbed. 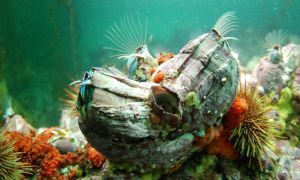 [caption id="attachment_536" align="aligncenter" width="584"] Panel in place and waiting for a new community of sealife to move in. 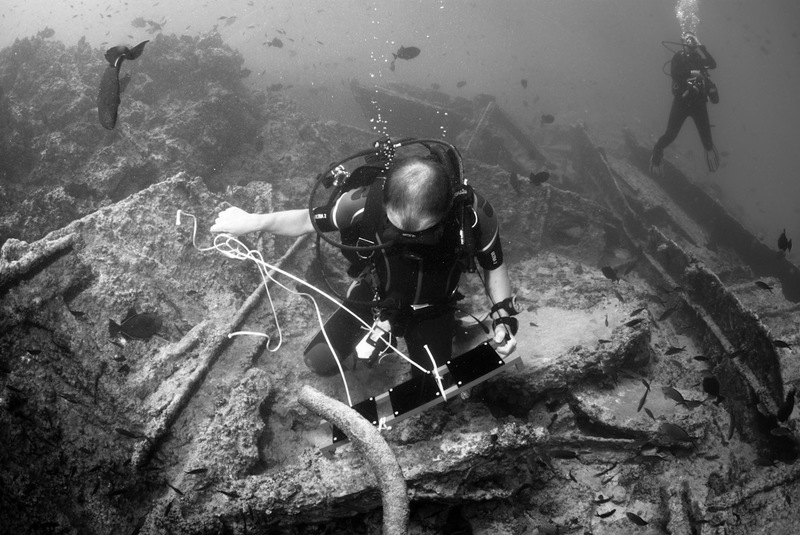 The key to the success of this project is the willingness of local divers Caz, Sam and Nik to visit the panels every 6-8 weeks and take high resolution images of the developing communities. They will post the pictures back to Dr David Barnes in the UK who will identify each of the animals and follow how the panels are colonised through time. 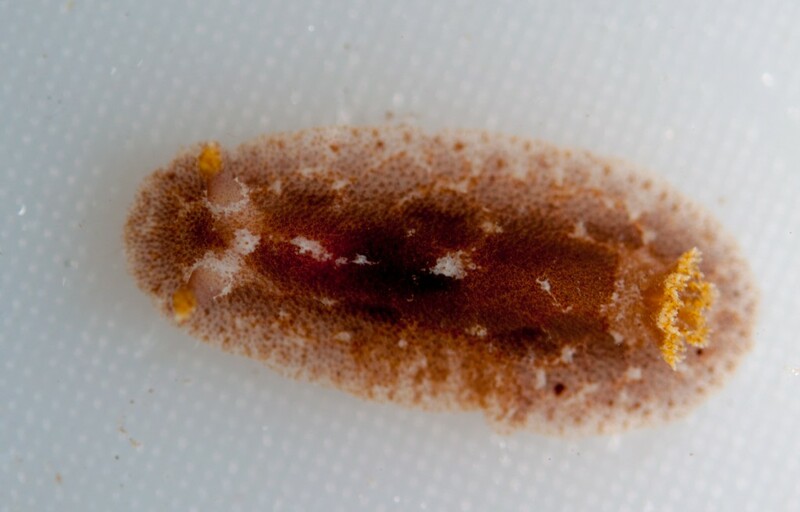 This long term project will help us understand the time of year when animals spawn at Ascension and the data loggers also give us one of the first high resolution records of how shallow water sea temperature varies around the Island. 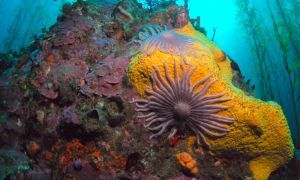 These two vital pieces of information can be compared with other parts of the world and will allow us to better manage the Island's marine biodiversity. We appreciate any of you Ascension divers and snorkellers letting us know if you see any damage to the plates. While we sort the thousands of images generated by the surveys, a few photos have already caught our eye. 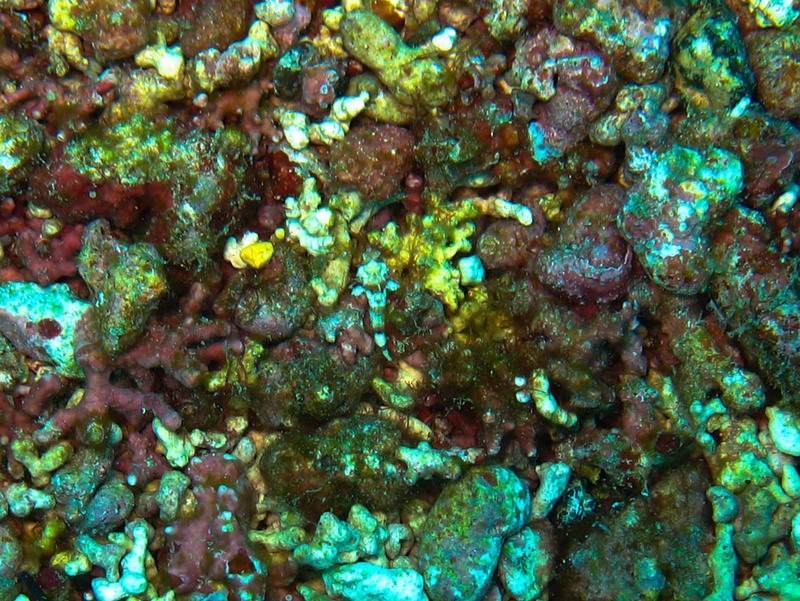 Enjoy some early images from the seas around Ascension Island. There are plenty more still residing on memory cards so follow up galleries will be on their way! 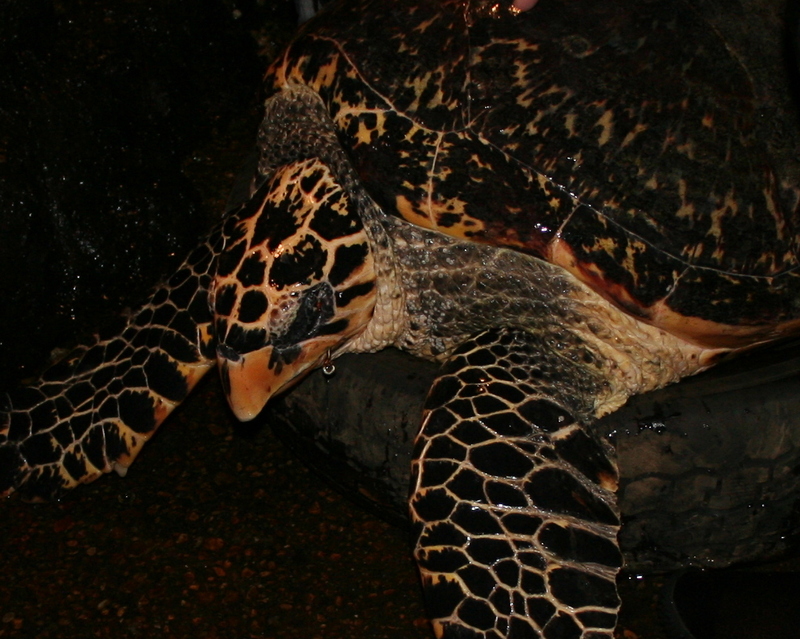 We have been continuing our efforts to capture and tag hawksbill turtles from the Georgetown pier during the evenings. Finally, we were rewarded for our efforts when the team managed to recapture the large hawksbill that had been too heavy to lift onto the pier on the previous attempt. This time, we were better prepared for such a large animal, the biggest hawksbill recorded in Ascension to date, and with the assistance of ropes and a higher tide managed to lift the turtle onto the pier. 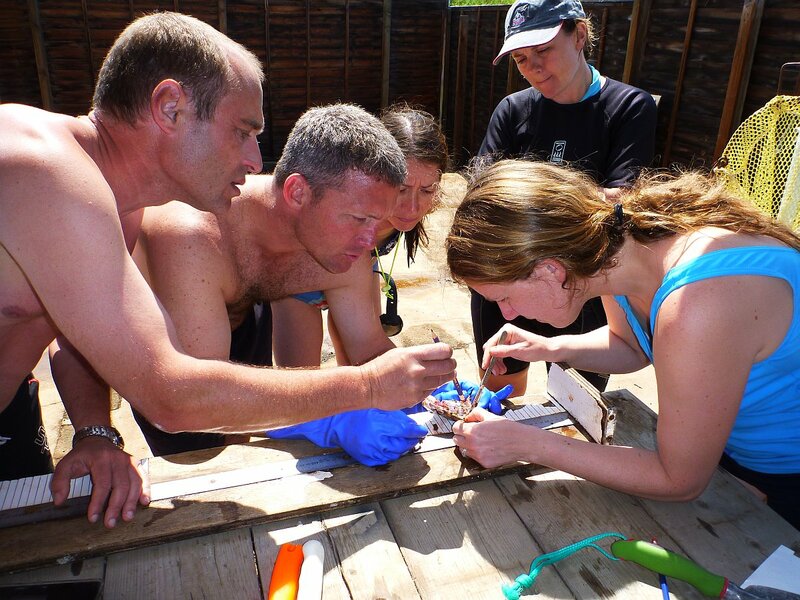 Sam and Nicola Weber, from Ascension Island Conservation, were able to take measurements and a biopsy for DNA analysis. 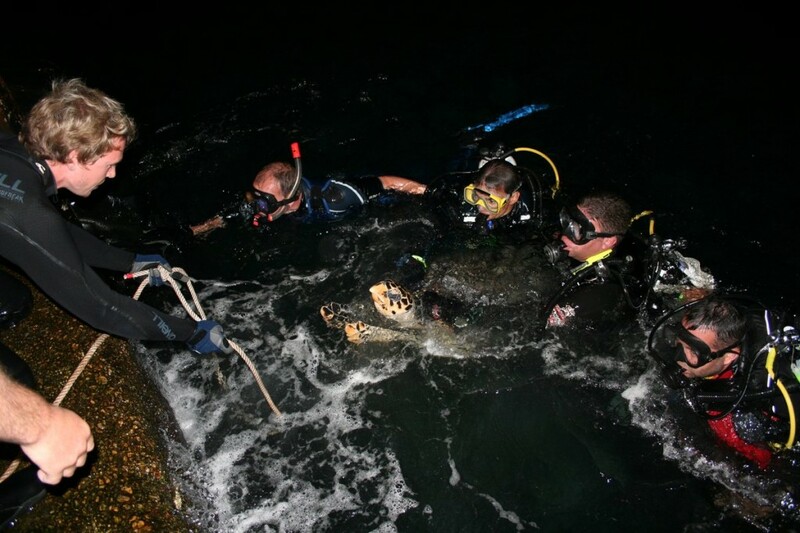 [caption id="attachment_502" align="aligncenter" width="584"] The team of divers manage to bring the turtle alongside the pier where it could be lifted out of the water to be measured. Sadly, this particular turtle has had a previous encounter with humans and we found a large fish hook embedded in its face. Because the hook exited very close to the orbit of the eye the decision was made to leave the hook in place to rust out, rather than risk further injury to the animal's eye by forcefully extracting the hook. 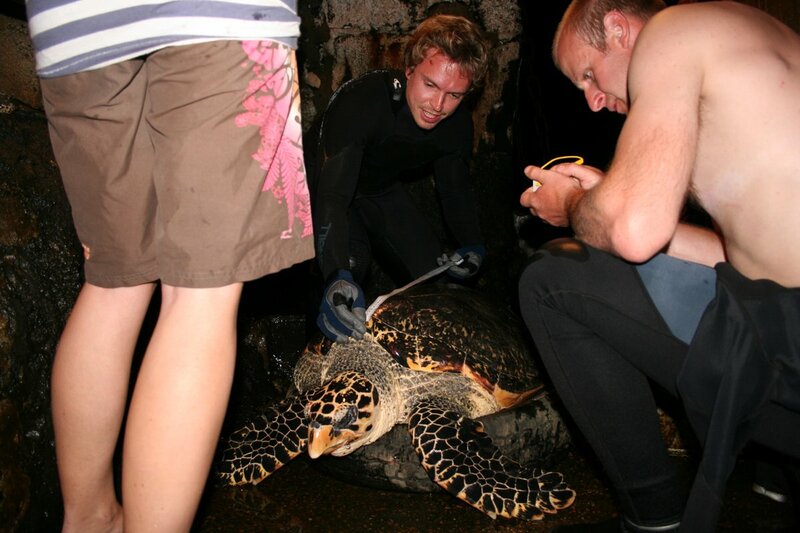 [caption id="attachment_503" align="aligncenter" width="584"] Sam Weber measuring the carapace length of this very large (for Ascension Island) hawksbill turtle. Unfortunately the same turtle has been seen on a subsequent night and we noticed that now a plastic bag has become entangled with the hook and may be causing some distress and discomfort to the turtle. If we manage to capture the animal again we'll attempt a removal of the hook. If not, hopefully both the plastic bag and hook will come away in time. 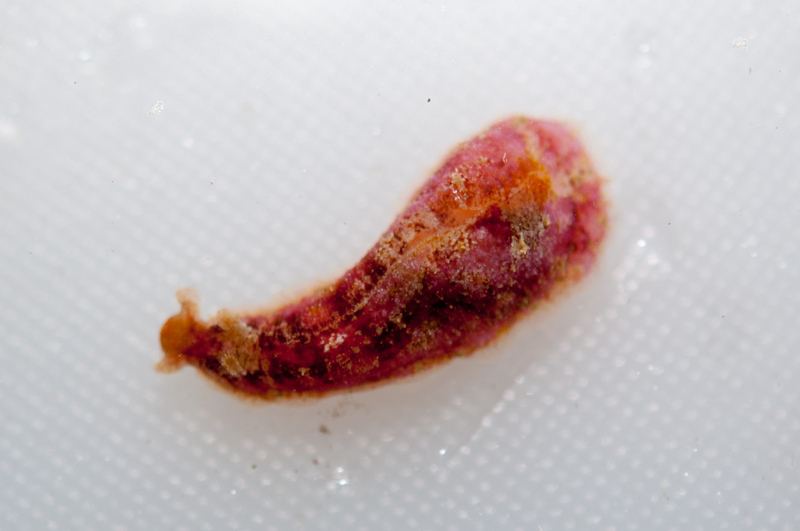 [caption id="attachment_504" align="aligncenter" width="584"] The fish hook can be clearly seen embedded. The turtle's sight appeared unaffected for now and with time, the hook should rust out. 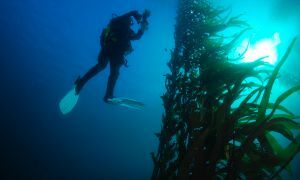 The Falkland Island Dive Team (FIDT) is a group of Service, Ministry of Defense (MOD) and civilian personnel who have given their time to support this exciting Project. The team is making a vital contribution to the project by providing logistical support and planning for the delivery of equipment plus booking of flights, accommodation, vehicles and boat. 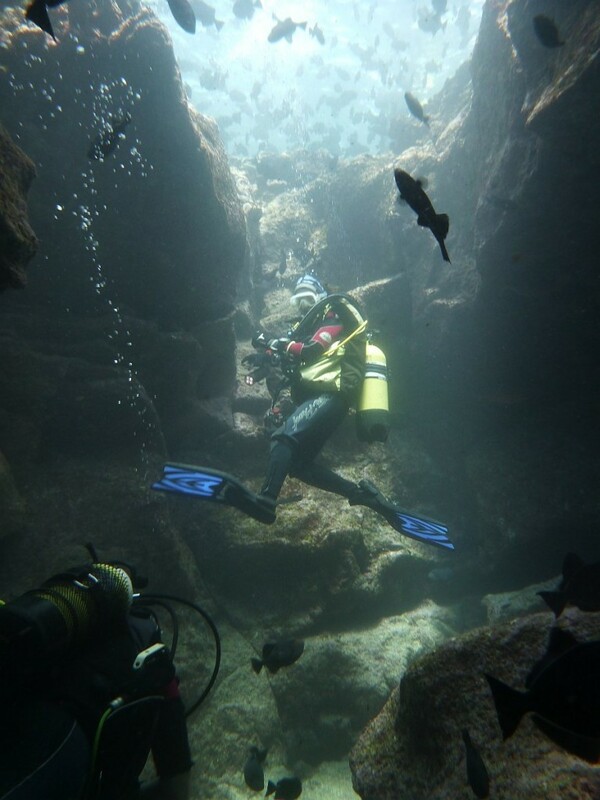 [caption id="attachment_454" align="aligncenter" width="584"] Sarah Lee in Lava Tunnel, English Bay. 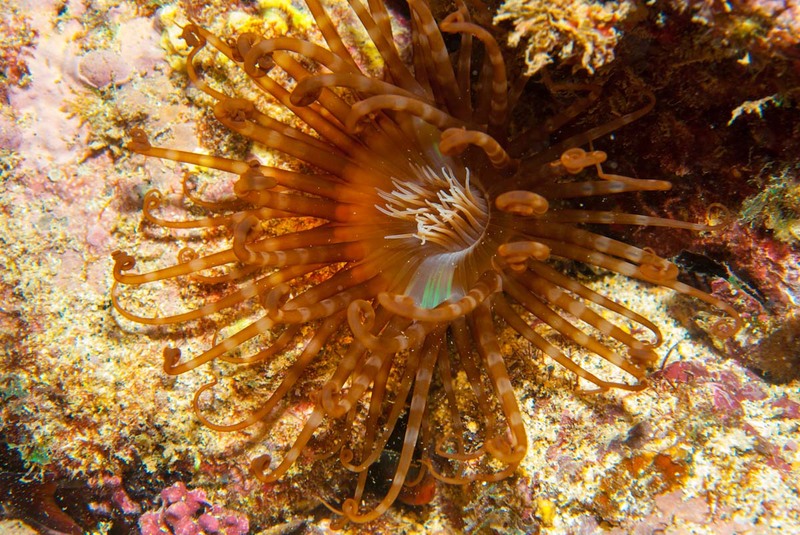 In the first 2 week period of the project the FIDT have assisted SMSG with data collection, critter and fish collection, photographs, transects and inter-tidal surveys. Not only are the team helping collect data but they have also been getting their hands dirty, literally, by helping to process fish specimens, with Simon Plummer, the diving supervisor, measuring, weighing and dissecting fish and to remove the otoliths which are used to tell how old the fish is. The FIDT have enjoyed discussing their findings with the expedition Drs and Professors. This has made the diving and the experience of working, helping and supporting the project a far more broadening experience. 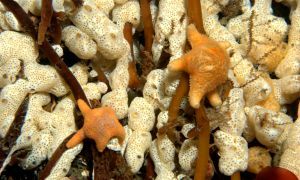 It has also made the team even more mindful of the diverse and balanced marine ecology of the Ascension Islands. 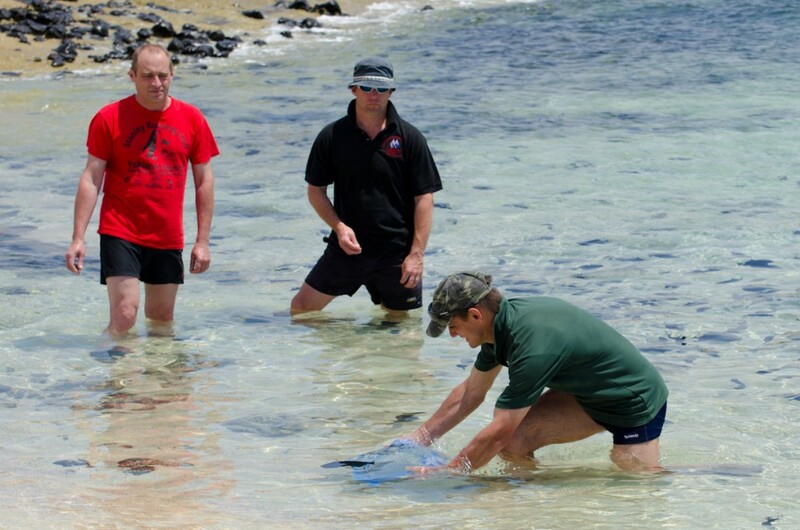 [caption id="attachment_456" align="aligncenter" width="584"] FIDT member Simon Browning demonstrate black triggerfish capture techniques, using a bread basket, while Vlad Laptikhovsky and Simon Plummer look on.